Book review of Paul Moke’s (2015) Earl Warren and the Struggle for Justice. Lexington Books. In the American Review of Politics, Forthcoming, Fall 2017. Reforming Political Discourse. Kicked-off a ten-month virtual dialogue or “Respectful Conversations” hosted by Harold Heie. Along with my assigned conversation partner, Kim Van Es, we addressed the initial subject: Talking Past Each Other, or Worse? September 2017. “The Core Practices of Citizenship: Re-enchanting Our Conception of Civic Duty.” Contributed to the Andreas Center’s (Dordt College) online publican, In All Things. This reflection was the second in a three-part series on the responsibilities citizenship, July 2016. “A Political Theology for Engaging Democracy: Letting Public Life Preach and Presidential Politics.” Paper presented at the Iowa Conference on Presidential Politics, Dordt College (Sioux Center, IA), October 29-31, 2015. “A Political Theology for Engaging Democracy: Letting Public Life Preach—Three Perspectives.” Paper presented at Christians in Political Science biennial meeting. Freedom and Responsibility in a Modern World, Azusa Pacific University (Azusa, CA), May 29-31, 2014. Starting in the spring of 2010 began writing a monthly report on the politics and policy of Iowa for the Consulate General of Japan in Chicago. Have produced 70-plus reports and counting. Dean of the Social Sciences (selected by VPAA; 2017-present) One of four divisional/academic deans will serve to advocate and assist the efforts of colleagues in the departments of Business & Economics, Education, Social Work, Sociology & Criminal Justice, Psychology and Political Science. Co-chair of Reaccreditation Work Group (appointed position; 2014-15) Served alongside Mike Wallinga (Director of Institutional Research) and lead a team of colleagues in making the case/preparing the report in advance of Northwestern’s decennial visit from the North Central Association’s Higher Learning Commission. Faculty Representative to the Board (elected by peers; 2006-14) Not only attended both the fall and spring meetings of the full Board, but also sat as a Trustee on the executive committee, which met on a monthly basis in order to fulfill various fiduciary responsibilities. 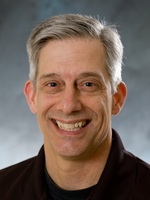 Co-director Franken Servant Leadership Institute (appointed position; 2009-13) Shared joint-appointment with faculty colleague J. Feenstra (Associate Professor of Psychology); helped to launch a new initiative which will assist efforts on campus to develop effective student leaders. Faculty President (elected by peers; 2008-11) Presided over faculty meetings and working in conjunction with the Dean’s Council to set the agenda for bi-monthly gatherings. Also served as an ombudsman of sorts.